New Season Of Full Metal Panic Coming Soon? 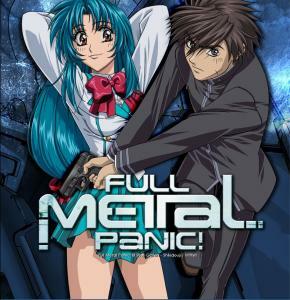 Apparently, someone has inside information regarding a new season of Full Metal Panic. Ms. Miyazaki, who works for a manga store, says that they are coming close to starting production of another season. There is no other confirmation though, so I’m not 100% sure or even 60% sure this is a reasonable thing to get excited about at the moment. I predicted last year that we would see the announcement of a new FMP season by the end of this year, but I was just being hopeful. I have learned already that anime I like is less likely to get a new season. That’s just how my luck is. All we can do is hope that FMP comes back, as it is a favorite of mine.